No matter your age, eating a healthy and well-rounded diet is important. 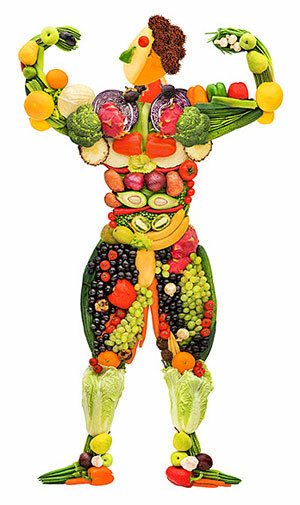 A diet full of whole and nutritious foods is sure to keep you feeling good both inside and out. But, knowing what to eat and how much to eat can be difficult. Online there’s so much information and dozens of different diets, which makes it even harder to know which dietary information is most ideal for you. Fear not! We’re here to give you the low down on a well-rounded nutrition plan. When you think of healthy eating, fruits and vegetables are probably the first things to come to mind. In 2010, the CDC found that only 33% of adults were meeting their daily recommended fruit servings and only 27% were eating enough vegetables. For teenagers and youngsters, the numbers were even lower. With fruits and vegetables, there is no one-size-fits-all serving amount. What we do know is that all of us need to eat more of them. 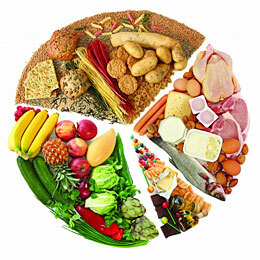 For most meals, fruits and vegetables should make up the biggest portion of your plate. 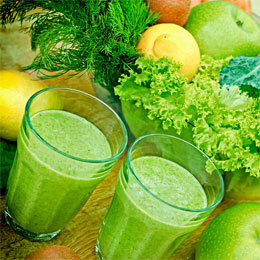 General guidelines include 2 1/2 cups of vegetables and 2 cups of fruit each day. For some, fruit can be a health concern because of the amount of natural sugars. If you’re worried about sugar intake, incorporate berries into your diet. When it comes to vegetables, the more color, the better. Bell peppers, carrots, cabbage, broccoli, and dark leafy greens are all highly nutritious. Getting enough protein in your diet is crucial in maintaining your muscle mass and energy. 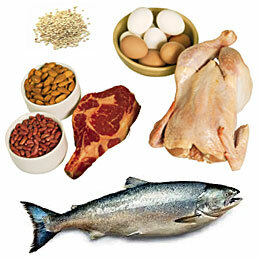 Proteins are your body’s building blocks for healthy bones, skin, muscle, and blood. If you exercise, protein is needed to restore and repair your muscles. Protein is also beneficial in that it keeps you feeling fuller for longer. This is especially helpful if you’re looking to lose weight. Diets higher in protein have also been linked to a healthier heart. 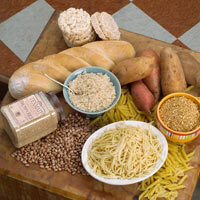 By eating less carbohydrates and more protein, blood pressure and cholesterol levels usually drop. If you’re a vegetarian or vegan, consider eating beans, tofu, and high-protein vegetables, such as spinach and broccoli, to meet your daily protein needs. Whole grains are chock full of important vitamins and nutrients including fiber, B vitamins, iron, selenium, and magnesium. Fiber helps with feeling fuller longer and also boosts your heart health. B vitamins are needed to release energy. For breakfast, eat non-processed oatmeal with berries and Greek yogurt for a healthy start to the day. You can also sprinkle flaxseed on your salad for lunch for a nice crunch. For dinner, enjoy a side of quinoa or brown rice. Despite what people have said in the past, fats don’t make you fat. What’s important to know about fats is that they have the higher amount of calories. For every gram of fat, there are 9 calories. This means it’s important to be aware of how many fats you’re eating throughout the day. 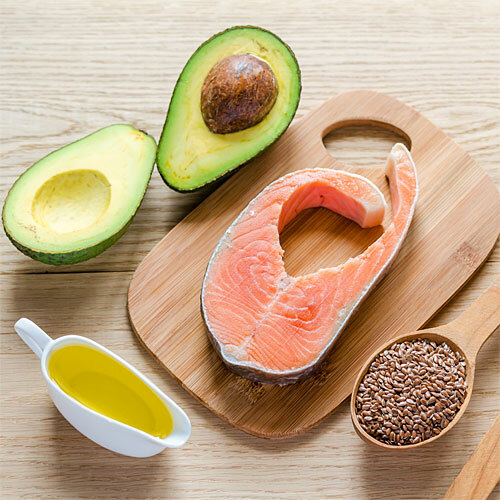 The good news is that healthy fats have all sorts of health benefits, including improved heart health and high levels of antioxidants. Fats can also be used for energy and will keep you fueled throughout the day. Healthy fats should be incorporated into each of your meals. They also make for quick on-the-go snacks such as boiled eggs or cubed cheese. Staying hydrated is a must. Throughout the day, try to drink at least 8 glasses of water. If you’re physically active, drink at least 10 glasses to replenish any water lost during exercise. Do you have trouble drinking water because it tastes so bland? 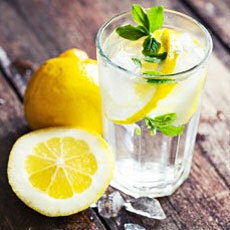 Try adding citrus fruits and/or herbs to your water to give it a nice flavor kick. You can also boost your water intake by eating foods with high water content including cucumber, lettuce, melons, and spinach. No matter how good your diet is, we all face the risk of being deficient in vitamins and/or minerals. To ensure that your body has what it needs to function, consider adding vitamin supplements to your daily routines. A high quality multivitamin usually should offer the vitamins and minerals you need each day. Since supplements can be expensive, be on the lookout for pharmacy coupons. 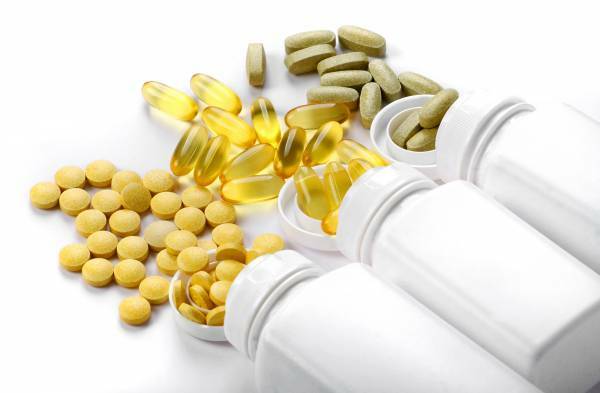 Most pharmacies offer savings on certain supplement brands. Eating a well-rounded diet minimizes the risk of some of today’s most common health issues including obesity, diabetes, and heart disease. Keep these tips and tricks in mind to keep your diet in check. 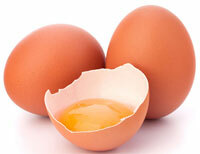 What Are The Health Benefits Of Egg Whites?